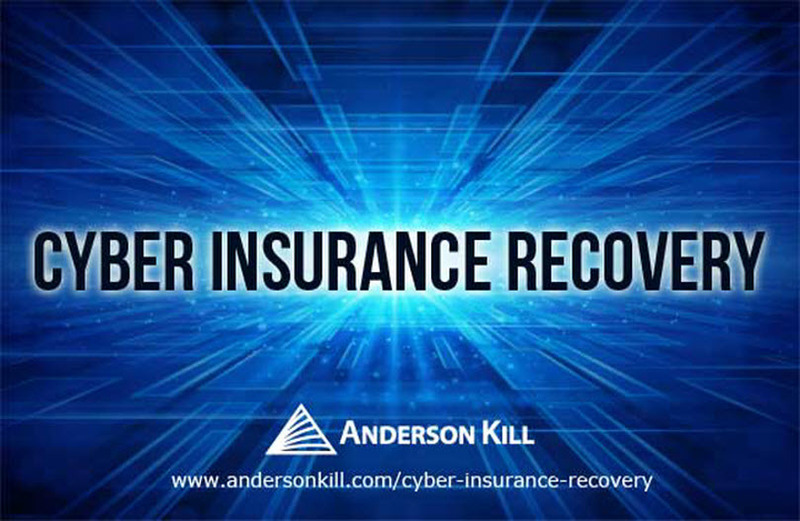 Cyber Insurance Recovery Attorneys - Anderson Kill P.C. The Cyber Insurance Recovery Group is chaired by Joshua Gold, a shareholder in Anderson Kill's New York office, who has helped to recover more than $1.5 billion for corporate policyholders in insurance coverage disputes, and co-chaired by Daniel J. Healy, a partner in the firm's Washington, D.C. office. Peter A. Halprin, an attorney in the firm's New York office, assists the group as deputy co-chair. Messrs. Gold, Healy and Halprin have represented clients in diverse industries pursuing insurance claims for cyber-related losses and have published widely in insurance and legal journals on cyber insurance coverage issues. Representation in a multi-million dollar recovery in a landmark U.S. Court of Appeals decision on behalf of a retailer that suffered a data breach as a result of a computer hack. Rejecting the insurance company's "direct loss" defense, commonly cited in such cases, the court instead applied a proximate cause standard -- a valuable precedent for businesses purchasing fidelity, crime and financial institution bond coverage. Represented a large engineering firm who suffered a cyber-attack on its electronic data storage facility which overrode a backup system and led to file system corruption. Client data was stolen and internal billing information was destroyed. We compelled the insurance company to pay under an all-risk property policy the client’s claims for replacement of the servers in the storage facility, client credit monitoring and the client’s business interruption loss. Represented an entertainment company client who was sued in class litigation by users of its on-line service for trespass and invasion of privacy arising from its provision of information concerning user on-line viewing patterns to third parties. Insurance companies under consecutive policies denied coverage on a variety of grounds. We were able to trigger both policies and recover the costs of defending and settling the lawsuit against the client. Represented a national retailer that was sued pursuant to a California statute that made it illegal to ask a customer who was paying by credit card for personal information. Successfully obtained coverage under the client's cyber insurance policy. Counseling a hotel company that had a major data breach on insurance coverage.